We all want a partner with a great sense of humor, right? Jeffrey Hall, associate professor in the department of communication studies at the University of Kansas, wonders whether the humor couples create together is better than just appreciating humor overall. 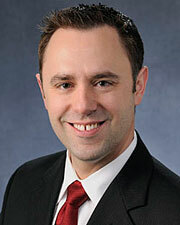 Jeffrey Hall is an Associate Professor of Communication Studies at University of Kansas. He earned his doctorate from the Annenberg School for Communication at the University of Southern California. He is the author of over 40 articles and book chapters on humor in relationships, making and keeping friends, and social networking and Facebook. He is an internationally recognized expert on flirting styles and has been interviewed around the world about his work on flirting and romance, including by National Public Radio, Cosmo, Men’s Health, USA Today, Women’s Health, Time Magazine, Wall Street Journal, US News and World Report and CNN. Study after study affirms that people want a partner with a great sense of humor, but what does that really mean? My recent project combined the results of 39 studies, which included over 15 thousand people from all across the world. Humor was measured a lot of different ways; some studies focused on style of humor, like self deprecating, earthy, or inappropriate. Other studies focused on creating humor or being a person who laughs easily. But, all of the studies examined whether humor was related to satisfaction in a romantic relationship. As a person who loves to laugh and admittedly has a taste in humor that embraces the quirky and absurd, I found the results of my study a bit of a relief. That people think you are funny or you can make a joke out of anything doesn’t seem to matter that much. Also, there is no particular advantage to creating or appreciating humor – both are equally happy in relationships. But neither is particularly strongly related to satisfaction overall. Instead, what really matters is the humor that couples create together. Maybe you share funny stories about your day. Maybe you make a point of remembering things you think they’d find funny. Or maybe the two of you have a ton of inside jokes. Those sorts of things really matter. It’s not about being a great comedian, but finding what’s funny in the everyday and enjoying it together. There is an exception to this rule. Having an aggressive sense of humor is a bad sign for the relationship in general, but it is worse if it’s used directly against your partner. If you think that your partner tells mean-spirited jokes, then it’s likely you’ve seen that firsthand in your relationship – maybe even directed at you. The bottom line is it is good to have humor. It’s better to see it in your partner. And it’s best to share it.